This should go without saying, but Home Alone is not a movie which should be emulated. However, that's exactly what happened recently in Muncie, Indiana. After finding her two young sons left at home unsupervised, police have placed their mother under arrest. Most peculiar of all is that when the children were discovered by the authorities, they were literally watching the movie Home Alone. Of course, that's a movie about a young child whose house is burglarized after his family inadvertently leaves him at home. Fortunately, it was the police that found these kids instead of robbers, but now their mother is considered a criminal. According to the local police, the mother in question says she was unable to secure a babysitter that day for her two sons, aged seven and four. She then took the older boy out of school for the day, tasking him with babysitting his younger brother. The mother then went to work, leaving the two alone, when they were noticed by a neighbor who called the police. When officers arrived, the seven-year-old called an aunt as he'd been instructed to not open the door for anyone. When the aunt arrived to let the officers in, they discovered the unsupervised children coincidentally watching Home Alone. Their mother was then placed under arrest and charged with two counts of neglect of a dependent, and the boys have since been placed with a relative. 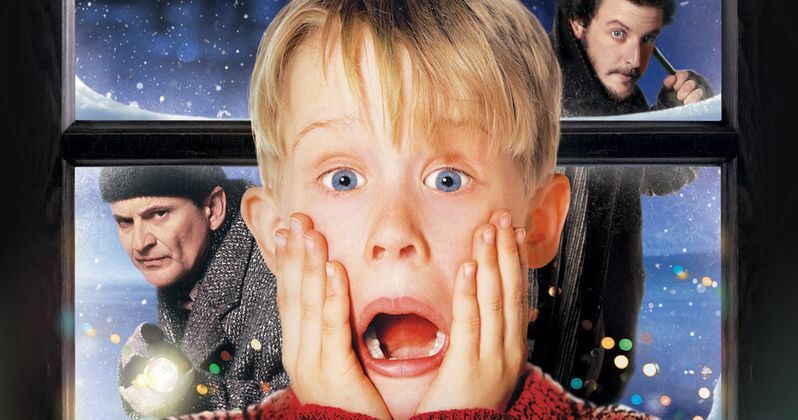 Life might sometimes imitate art, but that's not something we want to happen with Home Alone. In that movie, Macaulay Culkin stars as crafty kid Kevin McCallister who booby-traps his home to keep it safe from the Wet Bandits, Harry (Joe Pesci) and Marv (Daniel Stern). While the movie itself is full of hilarious hijinks, things might not play out so well in real life. Leaving such young children home alone is dangerous for a variety of reasons, even if burglars aren't breaking into the house. What's fortunate here is that everyone is alright and the children will hopefully not be placed in a similar situation in the future. Home Alone and Culkin himself have been in a lot of recent headlines for other reasons as well. The actor recently reprised his role as Kevin for a Google Assistant advertisement, recreating some iconic moments from the movie. He also showed up on the Angry Video Game Nerd YouTube series to review retro Home Alone video games, poking some fun at himself in the process. The first movie also has an interesting re-imagining in the works, as Ryan Reynolds will star in a new take on the story about a pothead who stays home after missing his flight. It's been pretty exciting lately for major fans of the original holiday classic. Hopefully this story will also help serve as a cautionary tale for parents out there to never leave their kids home alone. If the Wet Bandits don't show up, it could be the police, wondering why all of the adults aren't there. For everybody involved, it's certainly not going to be as fun as watching the fictional version of this tale play out in Home Alone. This information comes to us from WTHR.